Cruising the Sydney Harbour on Sydney's only authentic timber tall ship is about as unique a gift as you can possibly give someone! 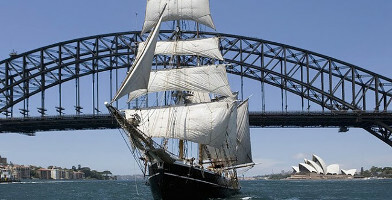 Send them back to the Age of Sail as they board the Southern Swan, an 1850s style tall ship, for the experience of a lifetime as they set sail on the stunning Sydney Harbour. They have the option to get involved and help hoist the sails, or sit back, relax and enjoy a glass of wine while marvelling at the beauty of Sydney Harbour. There are many cruise options to choose from, including a lunch or dinner cruise, a family pirate cruise, or a cruise that includes wine and canapes. 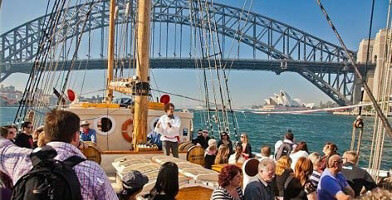 Choose their favourite and let them enjoy this unique Sydney Harbour cruise! Send them to enjoy the sights of Sydney Harbour in style with this great tall ship cruise that includes a delicious & substantial meal. Buy as a gift here! 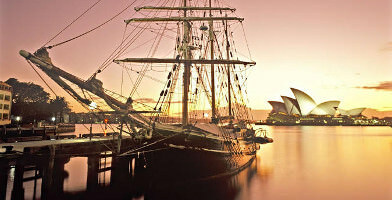 This sublime Sydney Harbour twilight cruise provides the perfect way to end the day - with dinner on the iconic harbour! Gift it now here! Send them cruising Sydney's Harbour in the afternoon to take in the city's most iconic sights from the best possible vantage point. Buy gift vouchers here! Send them cruising Sydney Harbour with this 3-hour wine and dinner cruise gift voucher. Buy it as a gift voucher online today & Gift It Now! Ready, Aim, Fire! 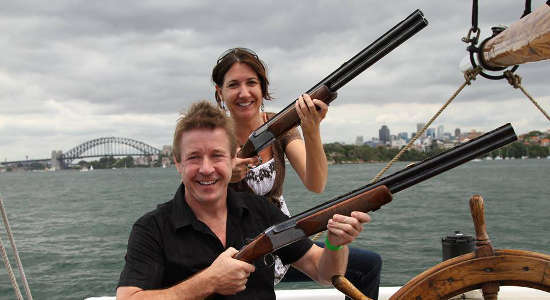 This fantastic package includes 2 and a half hours of onboard laser clay shooting with a delicious range of finger food. Gift it now!